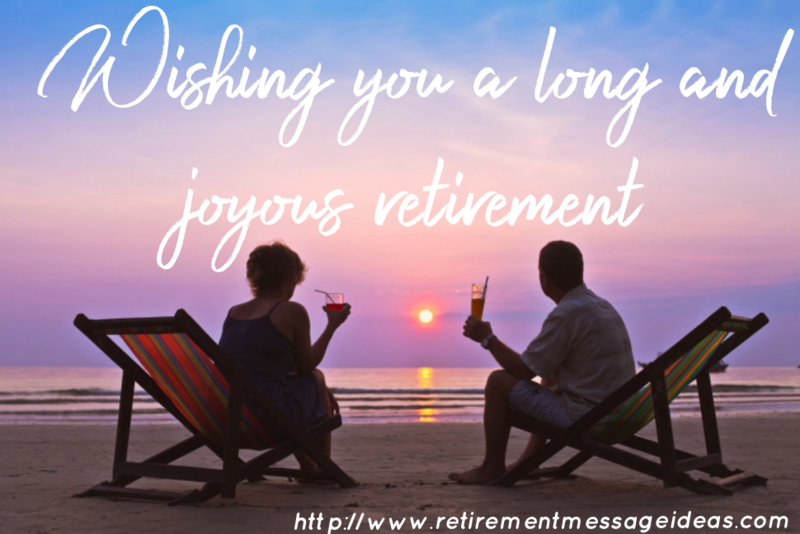 Tags Posts tagged with "Retirement best wishes"
When someone you know, be that a friend, family member or co-worker retires then you may want to send a retirement card. This gives you the opportunity to wish them well in their new phase of life. However, it can often be difficult coming up with the right words. Knowing exactly what to say, finding the words to express what you’re feeling and just trying to avoid causing any offence can all be tricky to navigate when writing your retirement wishes. 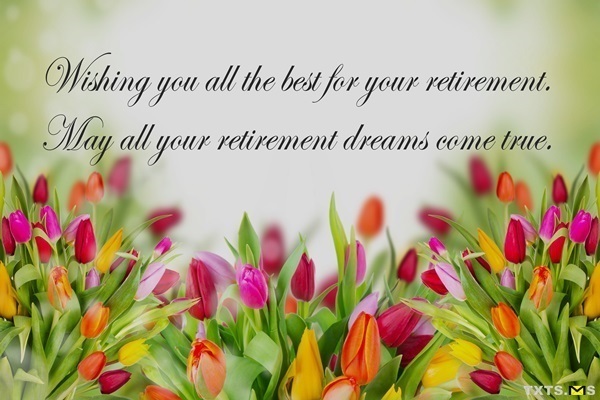 With that in mind we’ve put together an extensive range of retirement card wishes for you to use as you feel best. 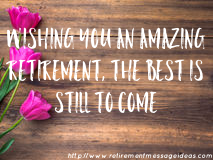 So use the selection of retirement wishes below either as inspiration for writing your own or use them exactly as they are to express the sentiments you feel towards whoever it is that is retiring. Best wishes and good luck for a fulfilling retirement. Wishing you the best in this next phase in your life. My best wishes on your retirement. You have a bright future ahead of you; enjoy it. However will you get along without seeing my face every day? Never mind, I’m sure you’ll manage. Best wishes on your retirement. Wishing you well through retirement! Wishing you well during your retirement and travels. Wishing you the best on your life after this retirement. We’ll miss you. We’ll miss you. You are one of a kind, and will not be easily replaced. Enjoy your retirement. May your do all the things you love to do and avoid the things you don’t like to do in your retirement. May your retirement be filled with many new adventures, meaningful moments, and much happiness. 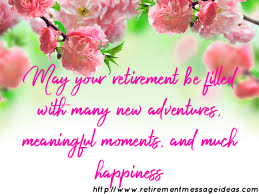 May your retirement be a special time spent with friends and family doing all the things that you enjoy to do. Wishing you the best through retirement, but please come back to visit periodically. Wishing you the most exciting and stress-free retirement ever. Wishing you and your family all the best as you enter into a new phase of your life. May you enjoy the extra time that you’ll be spending with them. I wish that your retirement will be everything you dreamed that it would be. Good luck and best wishes to you on your retirement. Wishing you good health, good luck and great success in your retirement. Wishing you the best, but wishing it was me. Hope to see you soon, even though you will not miss us one bit! Wishing you happiness and peace for the rest of your life. Wishing you only the best! Happy day! With the warmest of wishes and the warmest of hearts, so excited for your new adventure! Sincerest wishes on your retirement! Some people just know how to bring out the best in others. You are this type of co-worker! Thank you for everything you did. Good bye and good luck! Best wishes for a fun-filled but relaxing retirement. I’ll think of you often. But now forget all meetings and worries – it’s your day! 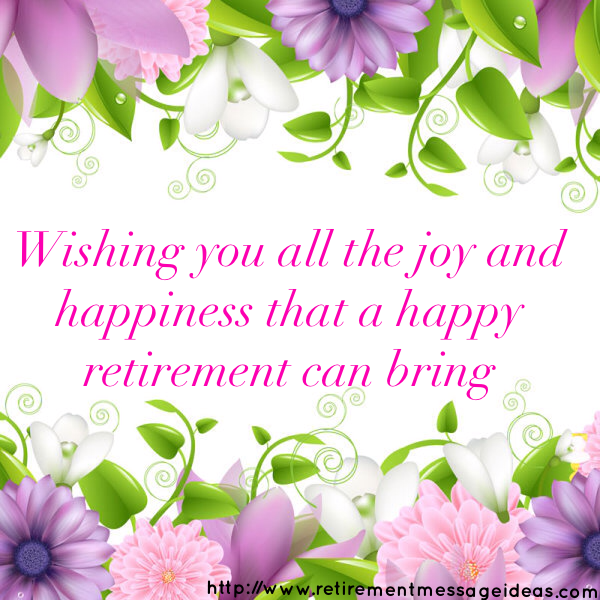 Wish you all the joy and happiness a happy retirement can bring to you! Have happy days for your rest of your life! Best wishes for your happy retirement. We really appreciate the things you have done for us so far with a smiling face! We’re really going to miss you! Hope you’ll enjoy every minute of your retirement. Best wishes! I send you my heartfelt happy retirement wishes as you begin this new journey of your life. You always loved Sundays because it meant time off and rest. Now you have three hundred and sixty five Sundays all coming one after another for as many years as lie ahead of you. What a lucky person you are. Best wishes on your retirement. You are free at last my friend, so go and enjoy your freedom and find something less stressful to do. Happy retirement to you. Life never stops and retirement is just the beginning of a new phase of life. Embrace it with joy and may peace and happiness come along for the ride too. Happy retirement. Good teachers are the reason why ordinary students dream to do extraordinary things. Wish you a happy retirement. 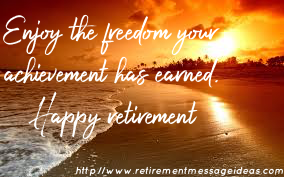 Retirement is life’s way of telling you that it is time you put your friends and family before your work. Happy retirement. Your career’s biggest souvenirs are your colleagues’ good wishes. Happy retirement. May you have a fun and bright new chapter ahead of you – one where you will have unlimited time for relaxation. Happy Retirement! Wishing you a new journey of success and happiness in the new page of your life. May you be showered with abundant opportunities to do what your heart desires. Happy retirement! It was a pleasure working with you and getting to know you. Have an awesome retirement! If anyone deserves a great retirement it’s you. You have worked hard for so many years. Best wishes! Retirement is the reward you get for putting up with co-workers like me for many years. I wish you the best! This is not the end for you. 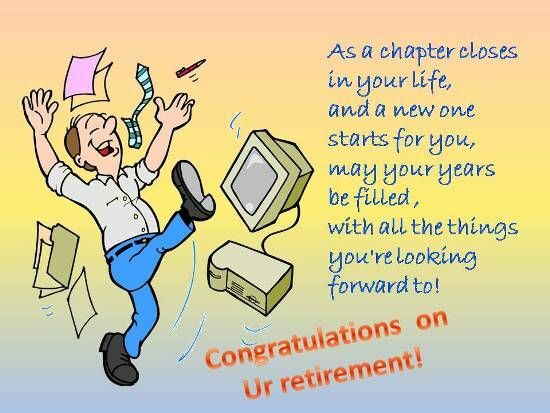 As a chapter of your life ends a new one begins and we all wish you a very happy and fulfilling retirement. Happy retirement! You can do anything and everything you’ve always wanted! So, you’re probably just going to sleep, right? You are the kind of person that brings the best out in others! Thank you for everything you did. Wishing you a life full of success and happiness!